PLEASE READ THESE TERMS OF SERVICE. THESE TERMS OF SERVICE, INCLUDING ANY AMENDMENTS THAT WE MAY POST FROM TIME TO TIME, STATE THE TERMS AND CONDITIONS UNDER WHICH LIMO ANYWHERE PROVIDES YOU WITH VARIOUS SERVICES. Terms of Service, the terms “you”, “your” or “user” all refer to the person using the Services in any way. Anywhere Services (whether paid or during a free trial period) constitutes acceptance of these Terms of Service. web site, in any way. These Terms of Service supplement all applicable agreements and terms and conditions between you and Limo Anywhere. We may allow you to purchase Services using your credit card and/or debit card (together with “Card Services”). fee amount as listed on the Credit Card Authorization Form. that you will comply with PCI DSS anytime the Services are used to process credit cards. property rights of or otherwise violate the rights of any third party. sublicense, create derivative works from, transfer and sell your Content. the accuracy, integrity or quality of such Content. You will be responsible for the confidentiality and use of your access number(s), password(s), and account number(s). or unauthorized use of any of your access number(s), password(s) and/or account number(s). sweepstakes, except in those areas of the Services that may be expressly designated for such purpose. Services, a Services technician shall be permitted to access your Content as necessary to resolve the problem. Data, including those involving any current or former owners, co-owners, employees or contractors of your business. to solicit business relationships with your customers, drivers or passengers. and/or additional services required in order to use the Services (e.g. supported browser versions). to these Terms of Service, it will notify you by the posting on the home page of its business management application the updated Terms of Service and you agree that such notification shall be sufficient notification of such changes. remedy if you do not wish to abide by any changes to the Terms of Service. the right to modify its fees with or without notice. Should service be voluntarily cancelled, a $25 fee will be required to reactivate service. Non-payment of fees due to Limo Anywhere are grounds for suspension of service. While Limo Anywhere will make attempts to inform the customer of a fee collection issue; Limo Anywhere reserves the right to suspend service without notice for non-payment of fees. If service is suspended for non-payment of fees; payment of a $25 reactivation fee in addition to any past dues fees will be required to reactivate service. not received by Limo Anywhere within such thirty (30) day period, the payment will be deemed final. example, value-added, sales, use or withholding taxes, assessable by any jurisdiction (collectively, “Taxes”). 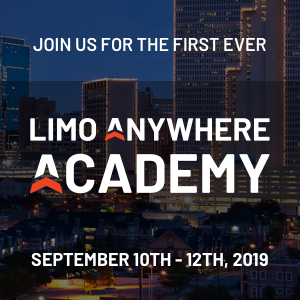 on Limo Anywhere based on its income. rights. This obligation will survive the termination of Services. encumber any interest in, or assert any rights to, the Limo Anywhere Content or other intellectual property. Limo Anywhere services, products and Content available on or through the Services for commercial or public purposes. provided by you relating to the Services or Limo Anywhere’s business. may update this mailing address from time to time. by any means other than through the interface that is provided by Limo Anywhere for use in accessing the Services. FROM FRAUD, EMBEZZLEMENT, THEFT, IDENTITY THEFT, OR INVASION OF PRIVACY. OR ADD-ON FEATURES THROUGH THE SERVICES SHALL CREATE ANY WARRANTY NOT EXPRESSLY STATED IN THE TERMS OF SERVICE. DAMAGES, IN SUCH STATES, OUR LIABILITY IS LIMITED TO THE EXTENT PERMITTED BY LAW. claims or otherwise preside over any form of a representative or class proceeding. or retention of non-electronic records, to the extent permitted under applicable law. or expiration of the Terms of Service. 1341 W Mockingbird Ln Suite 750W, Dallas, TX 75247.